Keep it simple and you can't go wrong. 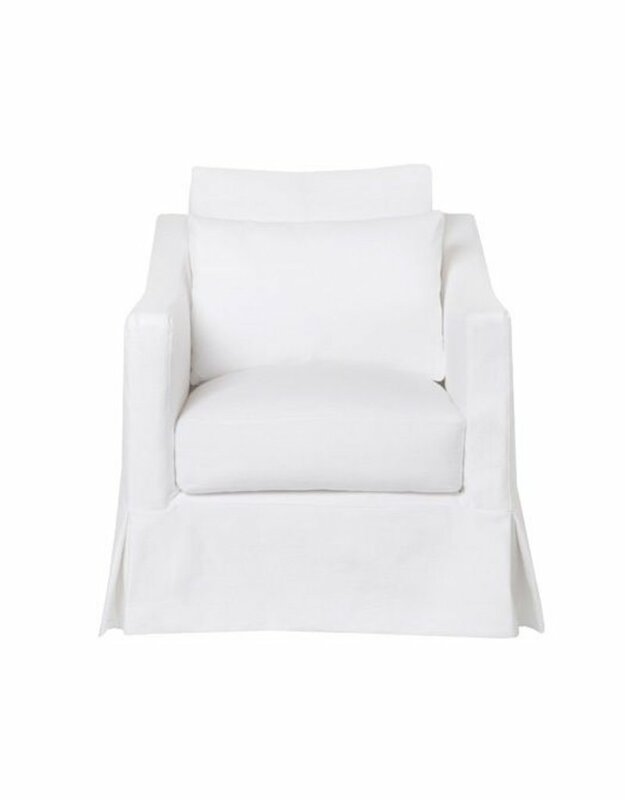 This design philosophy is perfectly embodied in the clean lines and easy attitude of this accent chair with swivel. 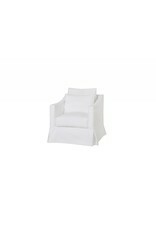 Available slipcovered and upholstered, this comfortable classic works in a multitude of spaces and traditions. 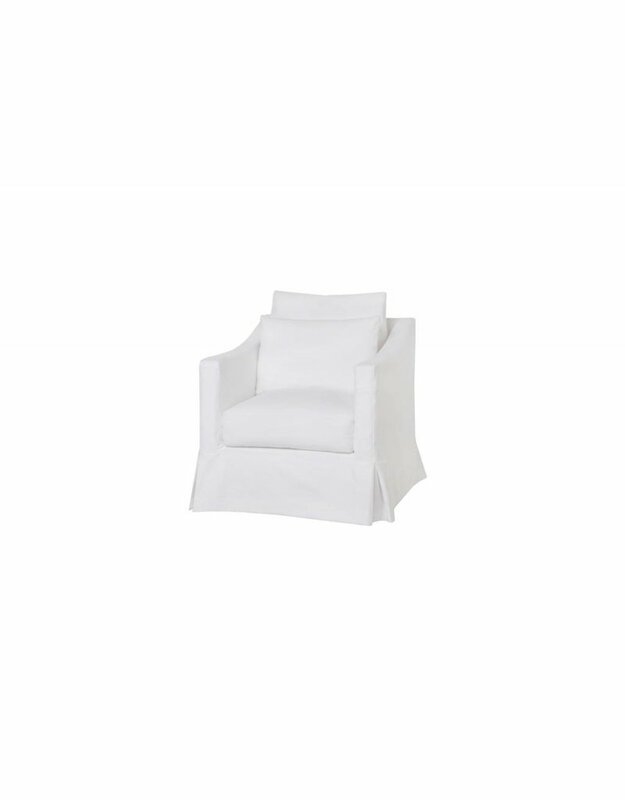 Upholstered in denim white, this chair can also be covered in whatever fabric you choose. The possibilities are endless and the guarantee on the frame is for life. Includes one (1) x 14 x 22 feather down loose cushion. 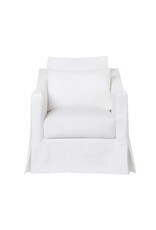 Slipcover can be removed for cleaning- dry clean only.